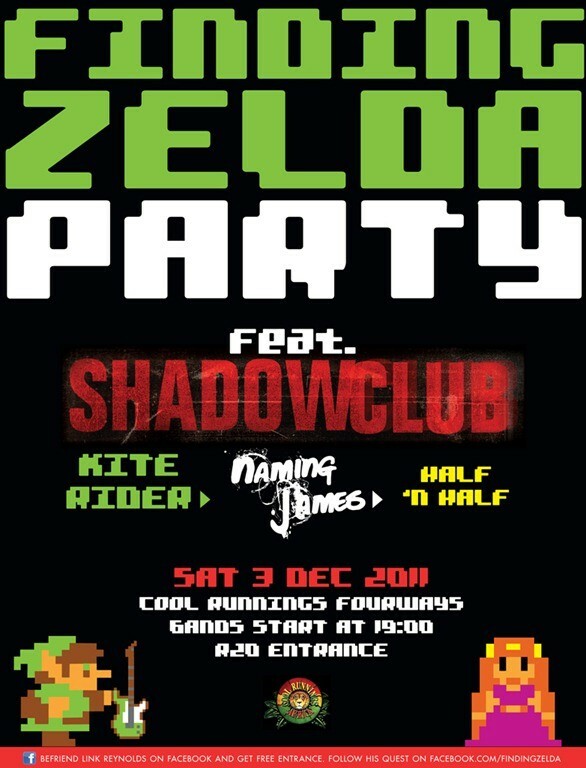 Free Finding Zelda Party… why not? So recently we’ve posted about our own local Link Reynolds who appears to believe he is Link from the Zelda games, or is overly into cosplay, and is searching for his very own Zelda. Well by the sounds of it he has found her and wants us all to go party with him and her at Cool Runnings in Fourways. The party is next Saturday and starts at 7pm and will feature the music of Shadowclub, Kite Rider, Naming James and Half ‘n Half. All of which I have never heard off but that could simply be because I’m old. Entrance is R20 but if you like his Facebook page then you get in for free. Personally I’m not sure I’m able to go meet the guy who has a broad sword and doesn’t like me, but you should be fine. If we get enough people from Lazygamer going I’ll see if we can convince Geoff to not perm his hair that night and rather go buy drinks for the community instead.